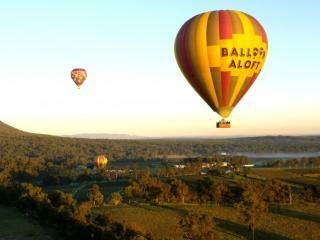 Balloon Aloft offers an exhilarating Sunrise Champagne Flight over the beautiful Hunter Valley. 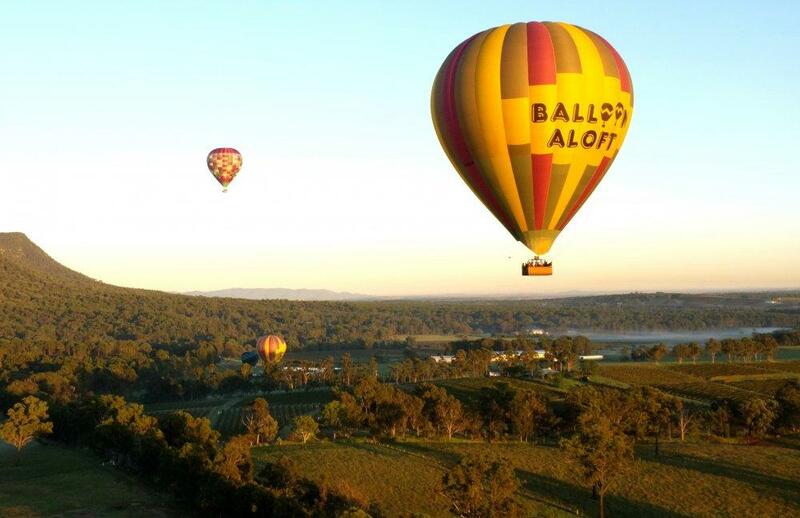 You will experience the magnificent picturesque Hunter Valley and wine country from your hot air balloon. After your pre flight briefing, passengers are transported to the chosen launch site. The site for these Hunter Valley tours can be any location depending on the direction of the wind. 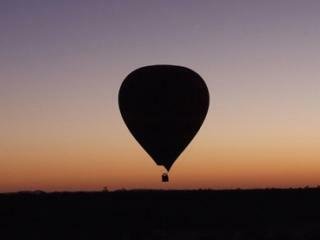 Take the chance to assist with the inflation of the hot air balloon, or stand back and take photographs. The views from your hot air balloon are breathtaking. One of the great joys of ballooning is its tranquility as you float with the breeze, feeling absolutely no sensation of movement. After your 45 to 70 minute hot air balloon experience over the hills, rivers and vineyards, come to earth with a champagne at the Balloon Aloft property. Meeting point for pre-flight briefing is approximately 15 minute drive from most Hunter Valley accommodation. Hotel transfers to the meeting point can be requested at the time of booking and are an additional cost. Reconfirm: Upon confirmation, all passengers receive a map detailing the meeting place and time, together with the pilot's telephone number. Passengers must contact the pilot the evening before their flight to confirm the weather and exact meeting time. When booking: Each passengers full name & contact information, address, phone number and an email address; Confirmation that all passengers are fit and well with no significant knee, hip or back problems, broken bones, recent surgeries, are able to stand unassisted for 1 hour and are not pregnant; Full payment required prior to confirmation. IMPORTANT NOTE: Passengers are required to advise their body weights at the time of booking, a mandatory requirement of the Civil Aviation Safety Authority. Children: Children are charged the adult rate. 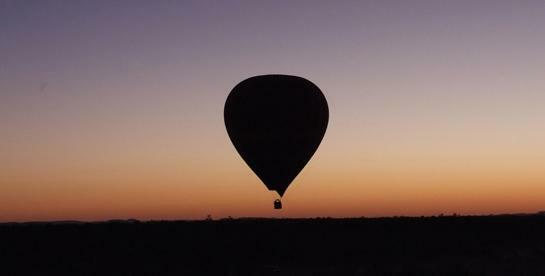 Balloon Aloft cannot fly children under the age of 7 years and over 120cm. What to Bring: Dress in layers as it may be cold in the morning but warm under the balloon. Bring a hat and sunglasses. High heels, thongs or open sandals are unsuitable.